Vitamin-mineral complex NEW RANKING 2018! Nowadays, we rarely have the opportunity to eat a healthy meal rich in vegetables and fruits. We are swallowing vitamins and minerals, often guided only by the price of a given complex. But is every preparation the same? Why do some cost $20 and the others $5? What vitamin complex should you choose? All of this because of the assimilability of the products. The cheapest products contain only vitamins of synthetic origin, packed with colorings, often sugar etc. The products of this kind are supposed to help us supplement the deficits of vitamins and minerals in an optimal way for our organism. With products that cost $5, assimilation due to cheap, only synthetic production processes is barely 15%! This is true, but it is easy to write about it and hard to do it, as not everyone has enough time and knowledge to be aware of what products to eat and in what quantities. By eating 100 g of carrot a day, we will satisfy the daily needs for vitamin A, however, in order to provide the appropriate amount of magnesium, we would have to eat half a kilo of spinach or 300 g of beans a day. in elderly age gastric problems disenabling to eat appropriate amounts of vegetables, mainly cauliflower, spinach or broccoli. Which vitamin complex to choose? We have been existing as a company mz-store.com on the market of functional foods and supplements for 10 years. During this time, we have seen the choices of our clients - the conscious choices. Therefore, we decided to share the information, which preparations are most frequently bought because of their bioavailability and quality. 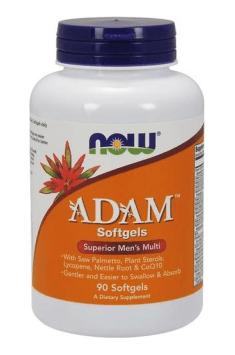 Adam is a very comprehensive, enriched with herbal extracts that help improve health, vitamin and mineral set designed for men. It has a very high bioavailability and is characterized by the ease of supplementation due to the softgels formula. 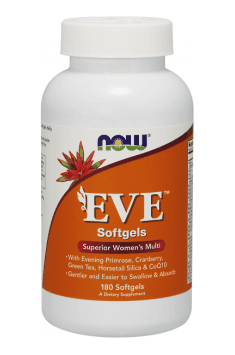 EVE is a preparation created for women, characterized by a specific supply of vitamins and minerals characteristic for females. In addition, the composition has been enriched with substances that reduce harmful free radicals, positively affect the urinary system and substrates that delay the aging process. 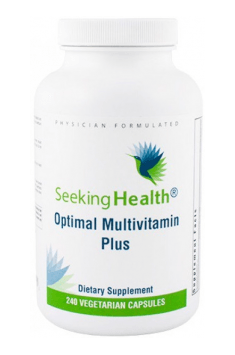 Optimal Multivitamin Plus is a preparation containing a set of vitamins, minerals and herbal extracts enriched with enzymes that facilitate digestion. The product has extracts of natural origin, both from fruits and vegetables! The Seeking Health product is one of the most advanced complexes on the market! 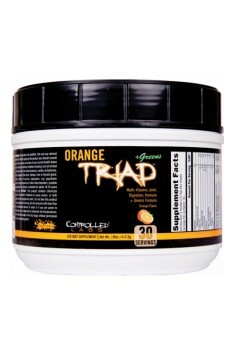 Orange Triad Greens is one of the richest in terms of composition of products. In addition to vitamins and minerals, it contains a lot of substances that have a beneficial effect on these areas of our body, which are particularly vulnerable to problems caused by physical activity - the immune system, digestive system, joints and ligaments. 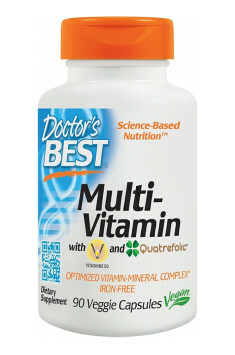 Multi-Vitamin is one of the best complexes of vitamins and minerals on the market. They are intended for daily supplementation. Thanks to methylated forms, many vitamins are able to very effectively prevent deficiencies caused by incorrect absorption or lack of conversion. 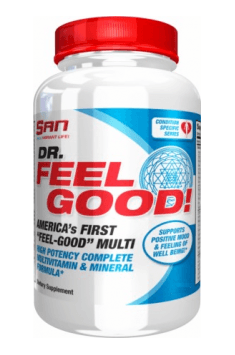 Dr. Feel Good is a vitamin and mineral supplement, developed especially according to advanced guidelines. Specially composed formula, enriched with herbal extracts and antioxidants, aims to maintain the highest possible physical and intellectual fitness.